(Newswire.net — November 15, 2016) National Harbor, MD — Recognizing the massive Spanish-speaking populations in the United States and around the world, XLNTbrain Sport™ has translated its neuro-cognitive baseline test, which is typically given pre-season to establish benchmarks for the athletes’ decision-making abilities, memory recall, emotional recognition, and balance. According to the co-Founder of XLNTbrain Sport™ and neurologist Harry Kerasidis, MD, the baseline test is becoming a standard in the athletic training sports world because it can be retaken after a suspected concussion, and compared against the scores during the pre-season tests. 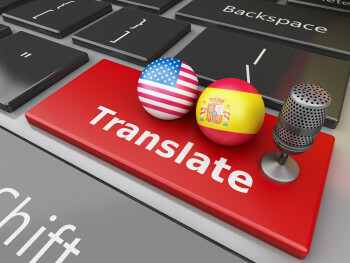 Spanish is the second-most widely spoken language in the world, behind Mandarin, with 400 million in the world. It’s the most-spoken, non-English language in the US with 37 million people. California has the nation’s largest Spanish-speaking population in the country, tallying in at 14 million people. The Spanish translation opens doors for the world’s most popular sport of soccer to use XLNTbrain’s baseline test. In the US, the primary motivation to use XLNTbrain comes from the American version of football. Regardless of the sport, the subscription-based sports concussion management system currently serves thousands of youth sports, student- and professional athletes, teams and athletic organizations. All protocols meet or exceed guidelines set by the National Athletic Trainers Association, the American Academy of Neurology and other medical organizations. For more information on the XLNTbrain Complete Concussion Management program, register for a free information session.